Long pepper comes from the same family of flowering vines that produce black pepper. An exceptional quality, with a complex and fruity fragrance. It is great just like black pepper- in dishes with red meat or game, soups and stews. A rare variety, presenting a different range of aromatics from more common Asian varieties. Grows wild in northern Thailand. Like its cousins Sichuan and Sancho peppers, it is peppery and numbing but carries a powerful mandarin flavor. 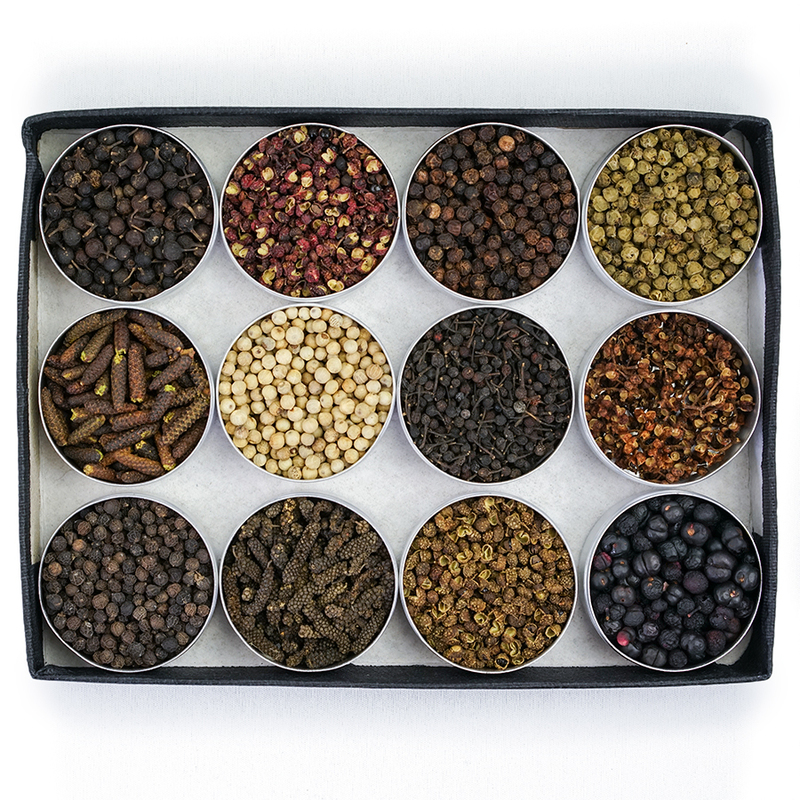 Spice Trekker pink peppercorns are sourced from along the coast of the Indian Ocean. They are sweet, mild, and have no trace of bitterness. A small, wild pepper from Quebec, with a bold citrus aroma, Prickly Ash is a great kitchen find. Discover its unique, prickly flavor today! Exceptional pepper harvested only at full maturity in Cambodia. Complex fruit fragrance with sweet notes. A rare pepper defined by its rich and seductive fragrance. Harvested at the height of its maturity in Ecuador. A pepper with an intense citrus aroma, a traditional part of Japanese cooking. Hot, floral, lemony with anaesthetic properties. Green Sichuan pepper has a more robust flavor than its red cousin. Its lemony aroma makes it ideal for seasoning fish, pork and poultry. Cultivated 3000 meters above the tiny village of Nine Dragons, China. One seed is often enough to numb one’s tongue. A fruity and pungent spice with a nice heat. Colors cream and coconut milk sauce with a distinctive blueberry-like hue. A classic blend of green, black and white peppercorns. A versatile blend for everyday cooking. Freshwater fermented by hand on the island of Sumatra. What traditional white pepper should be: a clean, and hot, but not overpowering, bite. 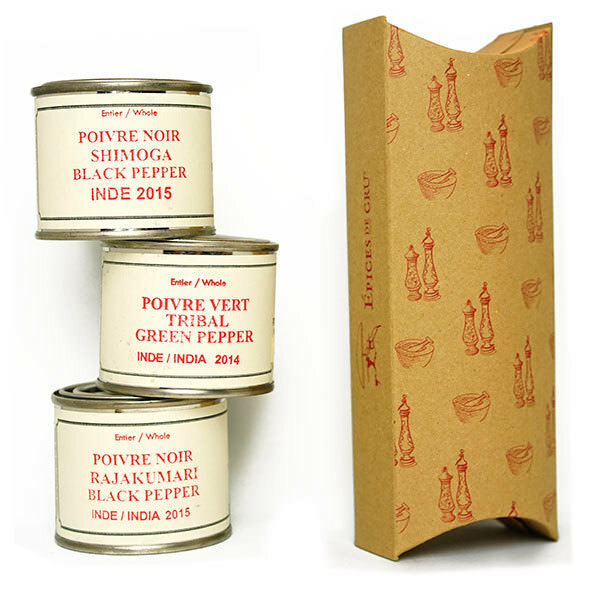 Piquant white pepper that has a bold, fresh aroma with hints of aniseed. Cultivated and harvested in Cambodia.